Thread Vein Removal Price List . Finance Options available – 0 % Interest Free. Thread veins or spider veins are tiny blood vessels that are running close to the surface of the skin, making red or purple wiggly lines. Thread veins are not broken but rather just slightly dilated. The technical name for them is telangiectasia. Women are more prone to developing thread veins than men are, women suffer from thread veins about 10% more often than men do. They do not correspond to any underlying medical condition, though they can be deemed as unsightly and can be a warning sign for circulatory problems. They are normally found on the legs, although other parts of the body may become affected too. Thread veins normally develop as a person ages, this is because as we age our skin and blood vessels become more elastic and the valves that are located in our veins begin to weaken. As the valves weaken, blood flows back down the vein, as blood, like water and everything else always flows downhill which is why thread veins are most common in the legs. The condition can often be caused by hormonal changes associated with menopause and pregnancy, during pregnancy the amount of blood in the body increases significantly, putting more pressure on the veins and the valves. Thread veins can also develop due to too much sun exposure, being overweight, wind exposure, extremes in temperature, some medications or a course of radiotherapy, Sometimes, thread veins just seem to run in families as well. Many people who have thread veins suffer no serious health problems; they should not affect circulation or cause long-term health issues. If thread veins become problematic or you just feel they are too unsightly, they can be treated in a variety of ways; these include undergoing a phlebectomy, endothermal ablation, compressive stockings, sclerotherapy and of course laser. IPL works to treat thread veins by firing short bursts of light of different wavelengths onto the affected area. This light is absorbed by the hemoglobin in the thread veins causing those blood vessels damage. Eventually, the veins break down and are reabsorbed by the body. 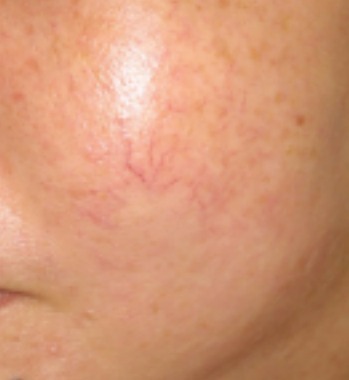 IPL effectively treats thread veins while minimising harmful effects to surrounding healthy tissue. How Is The Treatment Effected? Why Choose Mix Modality When NDYAG Does The Job? What Is The Aftercare Regime? Aloe vera is recommended and the patient must use sunscreen or avoid any sun exposure on the treated area for 4 weeks following treatment. Perfumed products, baths, saunas should be avoided for 12 hours after. What Equipment Is Used For This Process? Located in London, Pulse Light Clinic uses the gold standard in vascular treatments (varicose veins, spider veins, thread vein removal) for rapid and easy treatment leaving skin smoother and even-toned. With the option of NDYAG (1064) for darker skin types and either Alexandrite (755nm) OR Mixed Modality for lighter skin types. 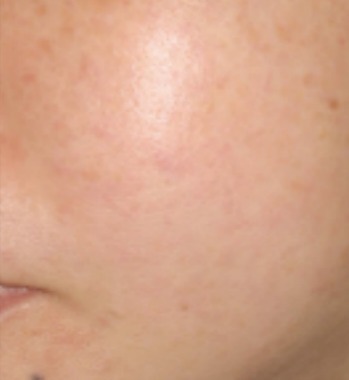 Laser treatments are spaced up to 12 weeks apart. Your body needs time to repair the cells and then we can treat the same area again if more veins are produced or if the vein needs treating again.